Traditional Hindu wedding is known for its spectacle, and it is very common the celebration may get extended for several days. 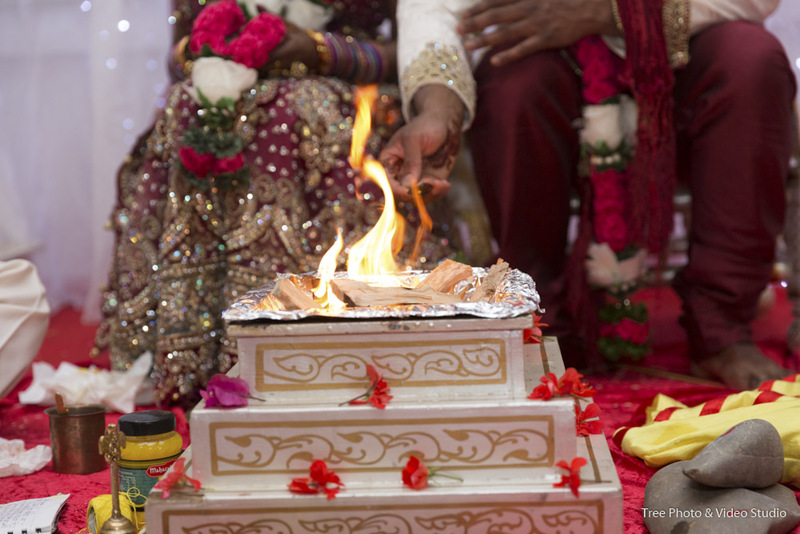 Although the ritual and process may vary, most of the Hindu weddings in Melbourne are based on ancient Vedic scriptures. Please check the followings for the process of Indian traditional Hindu weddings in Melbourne. Prior to the day of Traditional Hindu Wedding Ceremony, the bride’s family will organize a party called Sangeet. All the family member could sing, dance and celebrate for the coming union of two families. 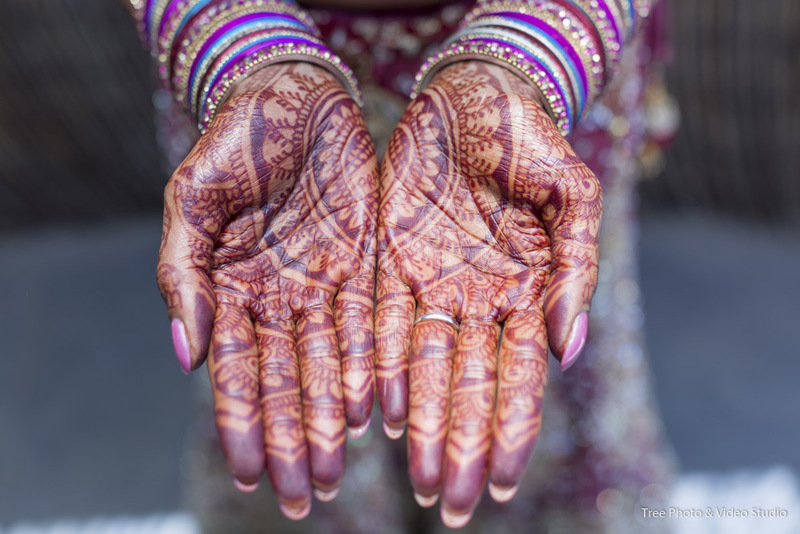 The bride’s hands and feet are adorned with the traditional Hindu paint, which is called Henna. This normally takes several hours to finish, so it is common to organize this one day before the formal Hindu ceremony for marriage. The groom, wearing the tradition Hindu wedding costume Sherwani or Kurta, arrives with his family and friends and is greeted by the bridal party. The brides’ mother, along with ladies in the bridal party, welcome the from with aarti. The groom is escorted to the mandap, the altar of the Hindu wedding ceremony. It represents the element of earth, with the sacred fire witnessing their sacramental birth. The bride, wearing the traditional Hindu wedding dress Sari or Lehenga, is escorted to the mandap by the bridal party. The bride and groom place a garland around each other’s neck and welcome each other into the future union life. The priest begins the ceremony with an invocation to Lord Ganesh, so his divine grace, power, love and spiritual strength may remove all obstacles for the bride and groom. The sacred fire is lit to invoke the Lord Agni and see his blessing. 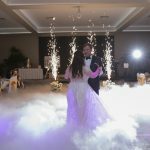 The bride and groom walk around the altar seven times while exchanging vows. The couple walk seven steps where each step signifies a lasting vow for abundance of food, joy, strength, wealth, progeny, longevity, and commitment to life. The couple make promises to each other which enable them to lead a sincere, respectful and peaceful life together. The bride then sits to the groom’s left, signifying she always be close to his heart. The groom places sindoor on the bride’s forehead and welcome her into his life. The mangalsutra, necklace made of gold and clay beads, is placed on the bride’s neck. 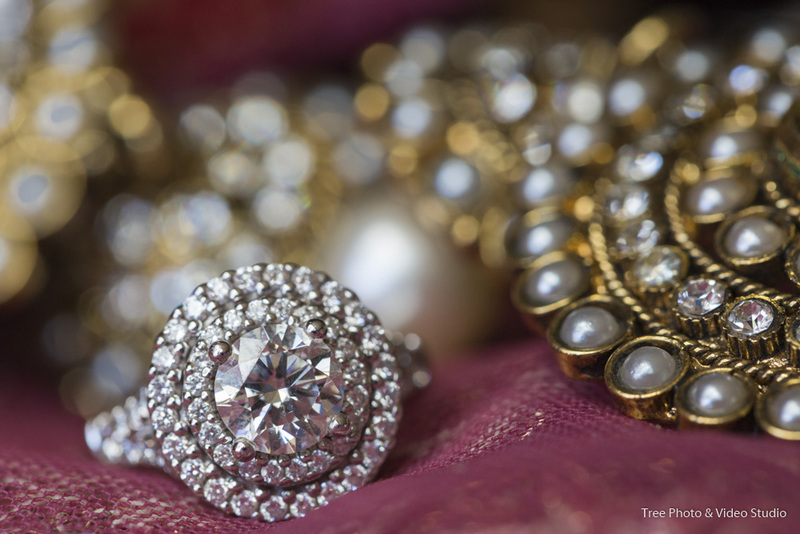 It symbolizing the Groom’s enduring commitment to their marriage. 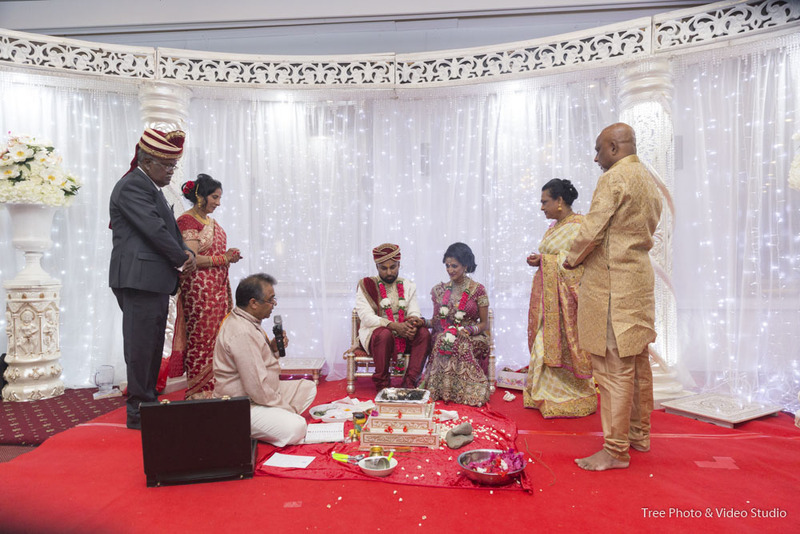 At the conclusion of the Hindu wedding ceremony, the priest directs the new couple’s eye to the pole star, also called Druvaloka. This is a blessing of their marriage be steadfast. • A tradition Indian food-based buffet is normally organized after the Hindu wedding ceremony. The couple and guest start dancing, singing and celebrating the new marriage after the meal. 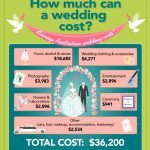 • In Melbourne, the Indian Wedding normally has a localized reception night organized the next day after the Hindu wedding ceremony. In most scenarios, the male guest normally wears the suit while the female still wears the traditional Indian dress. 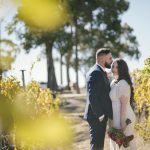 All the Australian wedding regulars such as couple introduction, cutting cake, first dancing is organized.